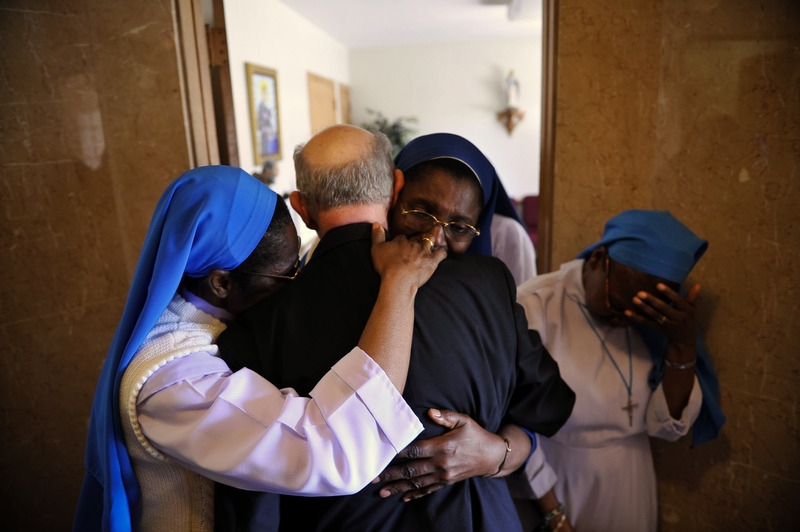 The nuns, Sr.Mary Henrietta Iroghumg, Sr. Mary Victur Egbokg, Sr. Mary Victoria Loeka and Sr. Mary Obi Oraka say their goodbyes and embrace Msgr. Granato near the front door of the Rectory as he exits Tueday after Mass. The Last mass celebrated by Msgr. Granato at St. Lucy's Church, Newark is held Tuesday morning. The monsignor, who is 80 and spent 54 years at the church, he must move out upon the orders of the diocese of Newark.